- All orders will be acknowledged by email within 24 hours. - We aim to dispatch all orders within 7 days of order. Postal delays beyond our control may occur, please allow up to 7 days for delivery within the United Kngdom, 14 days for Europe and up to 28 days for The Rest of the World. 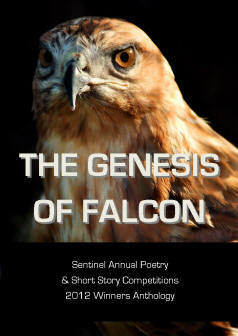 - Contributors to this anthology must order their free contributor copies through this portal to help with our tracking. Due to the way PayPal works there is a refundable charge of 50p. PLEASE NOTE: You are entitled to 1 FREE copy only. If as a contributor you wish to buy additional copies to support Sentinel, please click on Continue Shopping in the Shopping Cart to return to this page and add the number of copies you require at the regular price.. Editors: Unoma Azuah, Amanda Sington-Williams, Nnorom Azuonye.